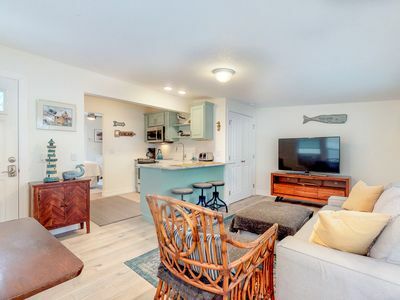 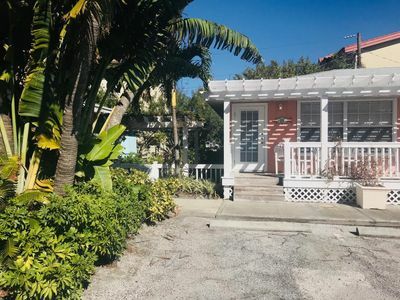 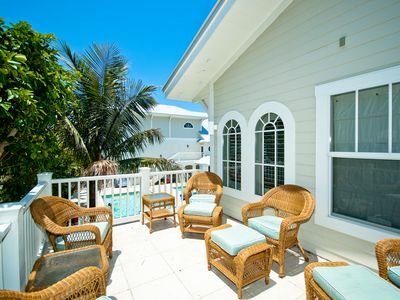 This First floor, 2 Bedroom/1 Bath Condominium is centrally located on Anna Maria Island and is convenient to the island's free trolley which will take you to all the restaurants, shops, and beachside bars! 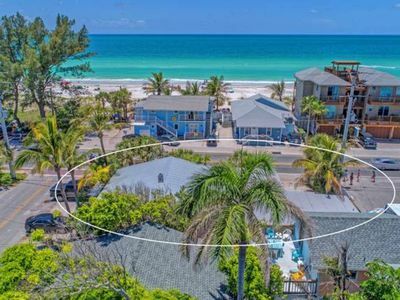 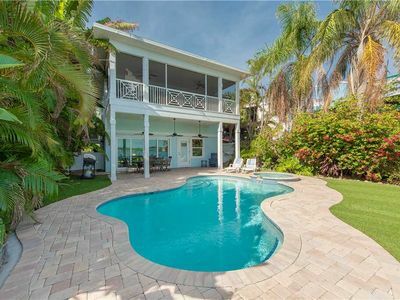 It’s just steps away from the sugar sands of Bradenton Beach where you can Relax in the sun, Play in the warm Gulf waters, Go fishing, or visit Tampa/St. 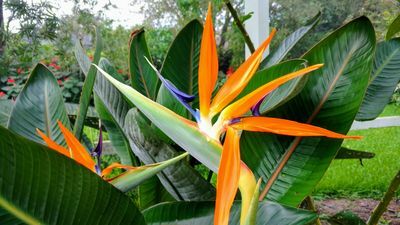 Petersburg/Orlando Area Attractions. 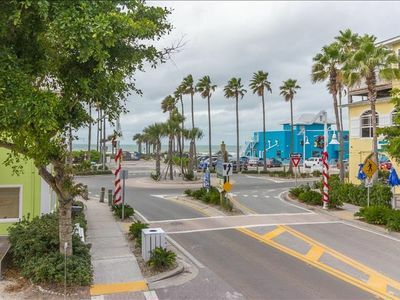 You are also just a block in the other direction to Tampa Bay and a quaint community park with a playground for the kids. 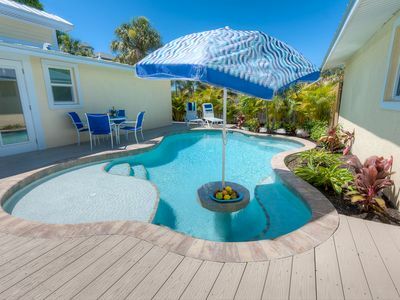 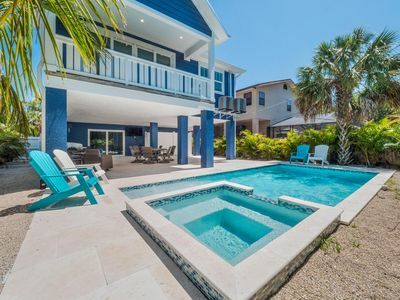 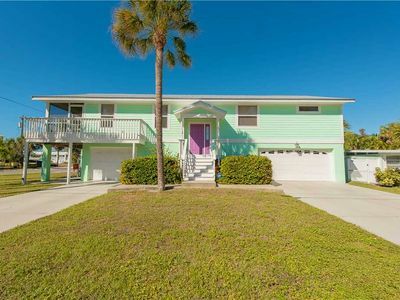 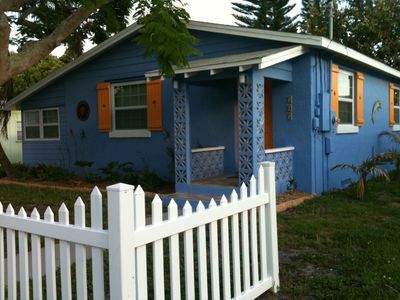 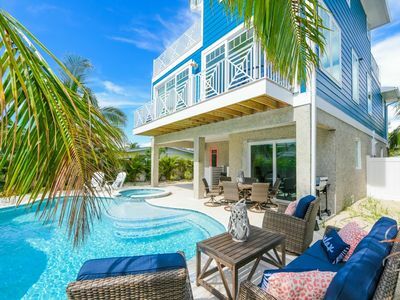 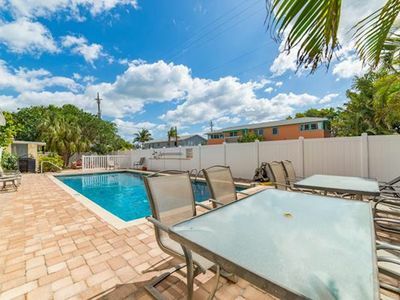 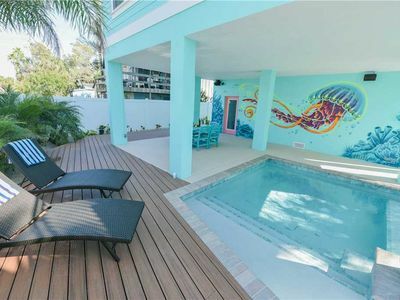 Your GULF-TO-BAY GETAWAY at 2406 Avenue B Bradenton Beach has a Cozy living room, Fully Equipped Eat-in kitchen, Bathroom with Tub/shower, and 2 Comfortable Bedrooms. 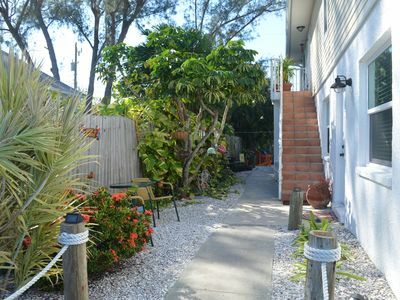 Feel free to enjoy the spacious courtyard which has plenty of seating areas, a gas grill, and features an outdoor fire pit. 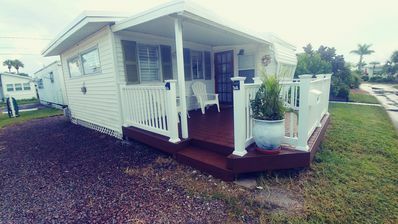 For your entertainment and convenience, High-speed internet & WIFI, Land-line telephone with free US Long Distance, Flat screen televisions with cable, and a DVD player are all included. 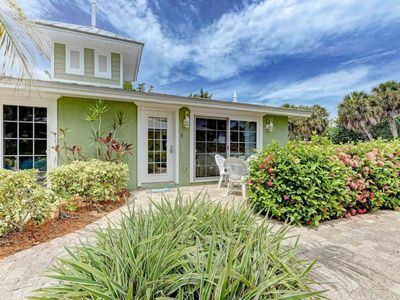 Book Your GETAWAY Today and find out for yourself why Forbes Magazine ranked this hidden gem as the #3 Prettiest Towns in America! 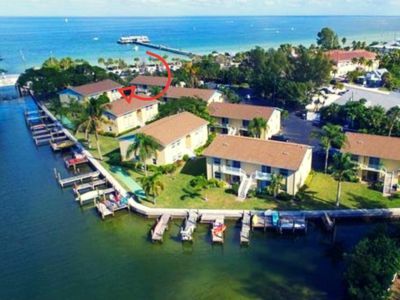 Please Note: 1 Small Pet Allowed without a pet deposit. 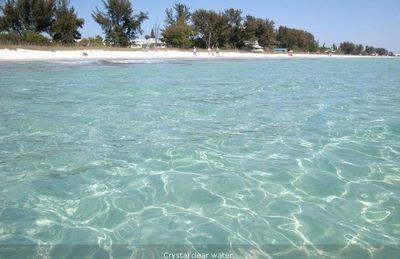 Just Steps to the Gulf of Mexico's White Sand Beach! 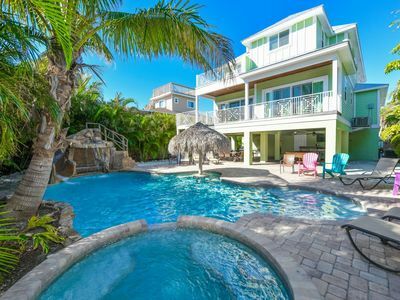 SURF VIEW • RESORT POOL AND WATER SLIDE - ROOFTOP HOT TUB! 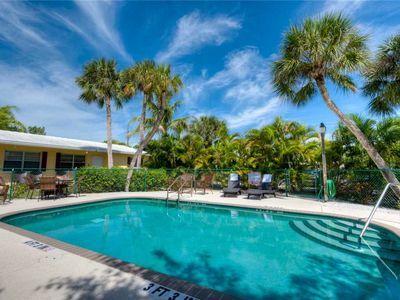 Anna Maria Island condo with heated pool, short walk from the beach.